My system is a bit exhausted from eating all those rich, salty Thanksgiving foods. I woke up this morning craving something fresh, so I figured it was time to make my favorite simple salad. At least, it’s simple and easy if you have a food processor with a shredding disk. Those who don’t are going to have to use some serious elbow grease. I suppose you could finely dice all the ingredients instead of shredding them. Let me know if you do, and how it turns out! I used to abhor beets. In fact, until recently they were practically the only vegetable I refused to eat! Several years ago, knowing how healthy beets are, I made it my New Year’s resolution to learn to like them. After roasting them several times and throwing them away because they tasted like dirt, I gave up. Then this summer, I got stuck with some beets in my fridge (thanks roomie!) and ended up making beet burgers from the recipe in How to Cook Everything Vegetarian. They were so tasty that I continued to make them for weeks, and each time I made them I ended up with some leftover shredded raw beets. Turned out, beets are really good raw! They don’t taste like dirt that way! That’s how I discovered this salad, and I’ve been making it ever since. Low calorie, high nutrient, and costs very little to make. Beets pack a serious nutritional punch for very little money. Shred the beets, carrots, and apple in a food processor fitted with the shredding disk. I like to alternate veggies as I shred; does some of the mixing for me. Toss in a large bowl with lemon juice or vinegar and seeds. Eat it up! 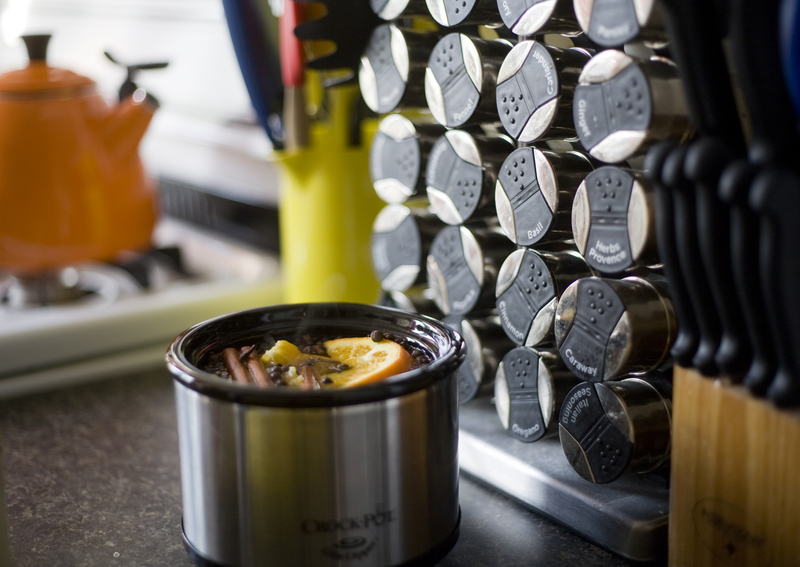 Makes 4-8 cups of salad, depending on the size of the vegetables. Keeps for a few days in the fridge. I have long had a love affair with lightly steamed brussels sprouts dipped in dijon mustard. At some point, I learned to roast them into crunchy goodness in the oven. 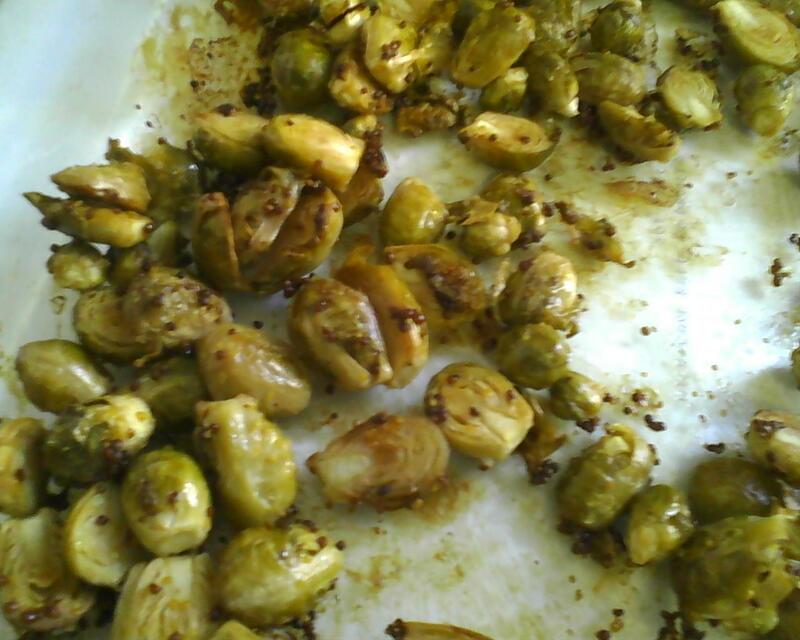 A few weeks ago, I discovered Dijon Roasted Brussels Sprouts. From there it was only a short step to replace the agave with pure maple syrup. Try not to eat them all yourself. Or do! Cruciferous vegetables are very good for you. 1. Whisk together the oil, syrup, mustard, s&p. 2. Toss the dressing with the sprouts. Spread on a baking sheet. 3. Bake at 400 for 20-30 mins, until the sprouts are golden brown and the leaves are crispy. When I was a child in rural Pennsylvania, we had many ancient apple trees on our property. They yielded countless small, hard, green, sour, buggy apples every fall. We children picked and picked them so our mom could can delicious homemade applesauce and apple butter. 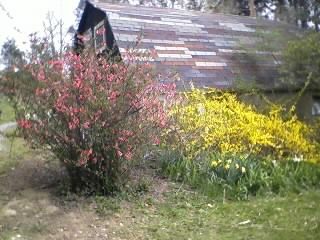 Next to an enormous tree close to the house, there was a small bush that bloomed in coral pink every spring and seldom put forth any fruit. I claimed this beauty as my own from an early age. The big apple tree is long gone, but my little tree is still there, blooming every spring and occasionally making a fruit or two. 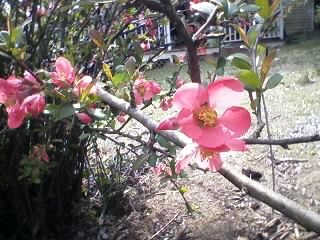 My mother told me it was a quince and ever since then, I’ve wanted to try one. Much to my delight, I saw some quince for sale at my local farmers’ market last saturday, and I had to have them. I bought four large fruits, the size of a big apple. They were pale yellow-green and covered with soft white fuzz. After doing a little research, I discovered that they were borderline inedible raw, but could be made into jellies and pies. I’m happy to leave the jelly making to my dear mommy, but man I love pie. Here’s what I came up with. You could also make this with only apples, or with a combo of apples and pears. This pie is healthy enough that you could eat it for breakfast! No oils, flour, or processed sugar. Pulse the nuts/seeds in the food processor until they are finely ground, but not so much that they turn into butter. Add the dates or other fruit one at a time, pulsing until it forms a sticky mixture. You’ll have to touch it to know it’s done; you should be able to roll a bit into a soft ball. You might not use all of the fruit specified, it’s just a guideline. Press a little more than half the mixture into a pie plate, including up the sides. Set aside the rest for topping your pie. 1. Combine the quince, water, honey, and lemon juice in a large pot with a lid. Bring to a boil, reduce heat, and cover. Simmer, stirring occasionally, for about 10 mins. Add the apples and cook for 5 more minutes. The fruit should be tender but not mushy. 2. Transfer the mixture to a big bowl and add the remaining ingredients. Stir to combine. Allow to cool. (This is a great time to make your crust!). Meanwhile, preheat the over to 400F. 3. 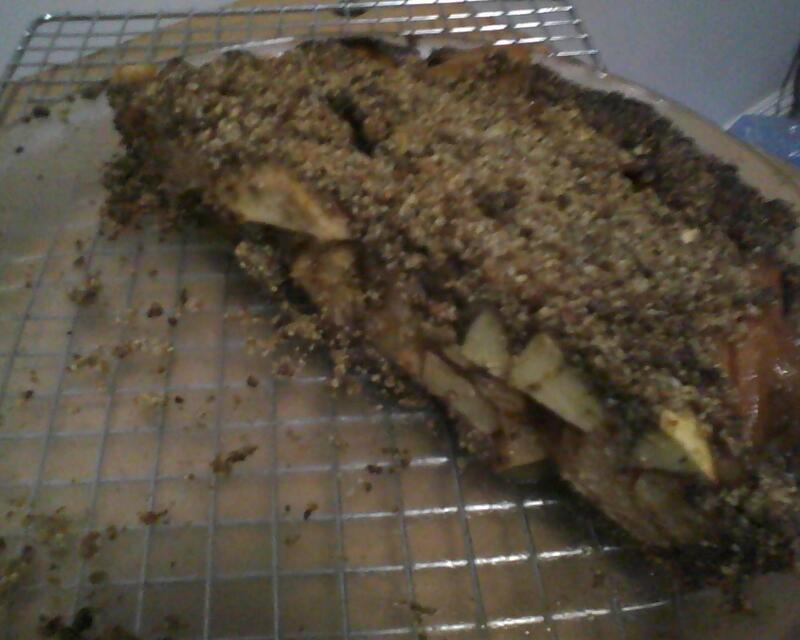 When the fruit is cool, dump it into the prepared crust. Sprinkle the remaining nut mixture over the top and pat it together with your hands. It might not cover the whole thing, but it will taste good just the same! 4. Bake for 15mins at 400F. Turn the oven down to 375F and bake 20-30 more minutes, until the fruit is tender and before the crust starts to burn. Watch it closely if you don’t think it’s done after 20mins. The crust will be really nasty if you burn it! 5. Cool on a wire rack for 30mins. Slice and serve warm to lots of friends. It might fall apart when you take it out of the pan, but it will be tasty in a crumbly pile too. I went to a baking party! Check me out, making my Penny Parsnip Pumpkin Muffins. When I was invited to participate in my friend Alexia’s baking party, I was conflicted. I’ve never been one to bake, and since I was diagnosed with hypoglycemia 14 years ago, I’ve managed to control the little sweet tooth I have. That being said, I still wanted to visit, so I offered to come by with my camera and watch everyone else bake. In all honesty, I walked away feeling slightly inspired and wound up making a vegan chocolate cake when I got home. Since I wasn’t occupied baking at the baking party, I took some nice photos to document it instead. 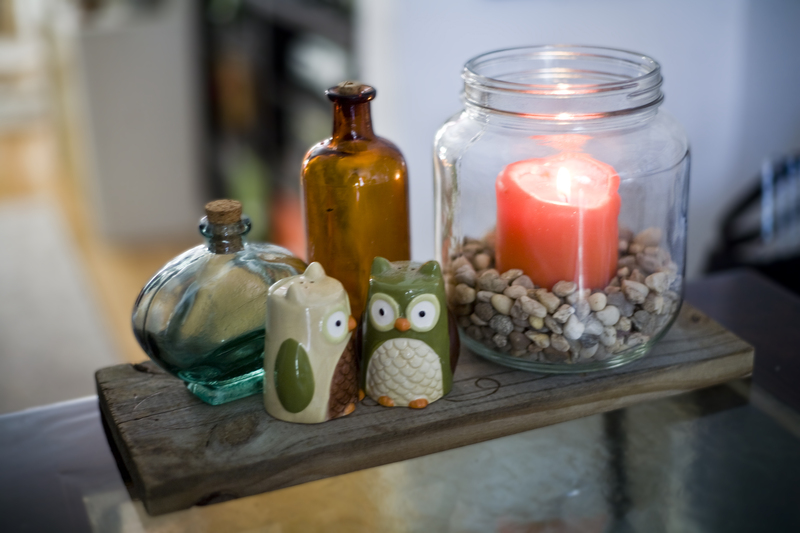 This is the result of a great tutorial Alexia found on Pinterst for Mason Jar air fresheners. 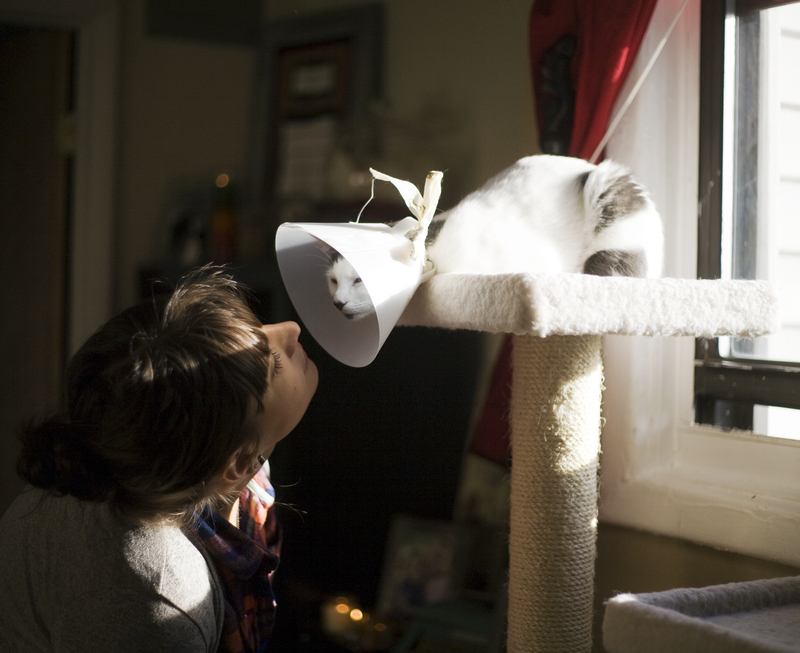 Alexia’s kitten, Penny, was fixed yesterday. 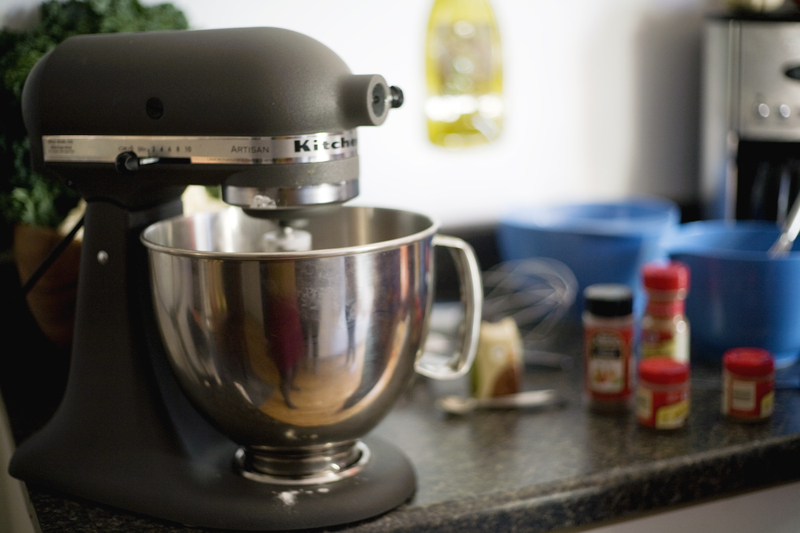 Even though I haven’t any room or use for it, I’m slightly jealous of her gorgeous grey Kitchenaid. Recently, I went to my local farmers’ market and decided to celebrate fall with a locally made pumpkin muffin. Went home with my sacks of goodies, made some coffee, and prepared to enjoy. Took a bite and… blehhh. Extreme disappointment! Too sweet, didn’t taste at all like pumpkin, and was loaded with chunks of stuff–raisins, nuts, chocolate chips, cranberries. It was just too much. Not at all the nourishing autumnal treat I had been hoping for. Naturally, in my culinarily distraught state, I began combing the internet and my cook books for a healthier recipe. Qualifications: low in sugar, whole grain, no oil, bonus points for gluten-free (because I love my GF friends so much!). I found two that looked like they’d pass muster, and commenced baking. After a few tasty test batches, I ended up combining elements of the two into my own version. So here it is, folks! A hearty, whole-grain, oil-free, low-sugar, spicy pumpkin muffin for your breakfasting and snacking pleasure. 1. Put the amaranth in a heat-proof bowl and add the boiling water. Let it soak for 20 minutes. 2. Mix wet ingredients in a big bowl, including the soaked amaranth and water. 3. Sift dry ingredients separately, then add to the wet mixture. 4. Fold in raisins and nuts, if using. 5. Scoop the batter into muffin tins that are either lined with paper liners or lightly sprayed with oil. You’ll be able to make 12 regular sized muffins, and the cups will be full, almost to the top. Have no fear! This batter doesn’t puff up as much as a cupcake would, so it won’t ooze all over your oven. 6. Bake in a 375 degree oven for 20-25 mins, until a toothpick comes out clean. Amaranth is a tiny whole grain with loads of fiber and protein, and a rather strong flavor. You’ll probably get your best price on it from a bulk bin at the natural food stores. Otherwise, Arrowhead Mills and (I think) Bob’s Red Mill both sell it. If you really can’t find it either order it online, or leave it out altogether. If you do leave it out, you could try adding another small whole grain instead (bulgur, millet, quinoa?). You may need to adjust the amount of liquid if you omit it. Let me know how it turns out! To make this a gluten-free muffin, you have two options: either replace the whole wheat flour with another cup of oat flour, which will yield a very dense and moist muffin, or try replacing the whole wheat flour with a cup of gluten-free flour replacer like the one from Bob’s Red Mill. I haven’t tried the gluten-free flour in this recipe yet, so if you do, report back to me on the results! If you don’t have any pumpkin, I’m sure mashed sweet potato would work just as well. 1. Start by hacking the squash in half lengthwise with a sharp, heavy knife and scooping out the seeds. 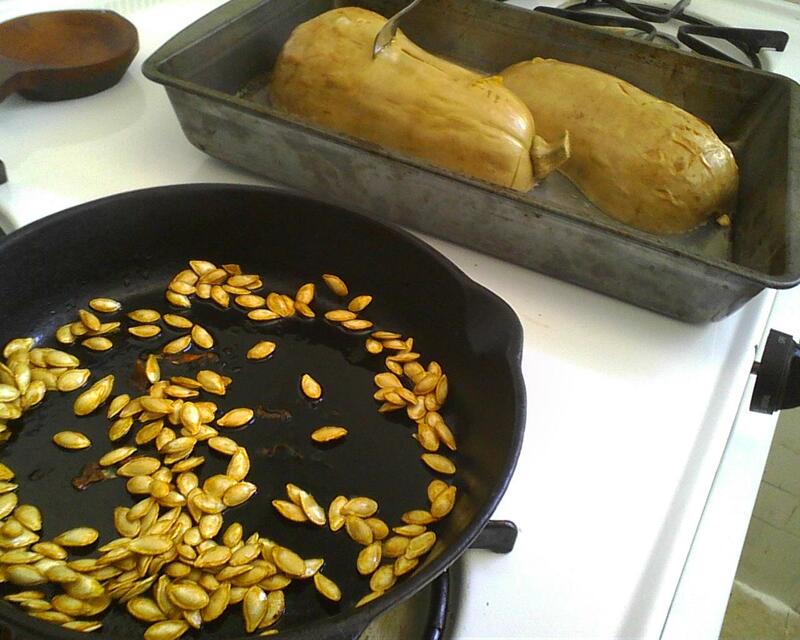 Place the squash halves face down in a baking pan with a litte water, and place it in a 375 degree oven. 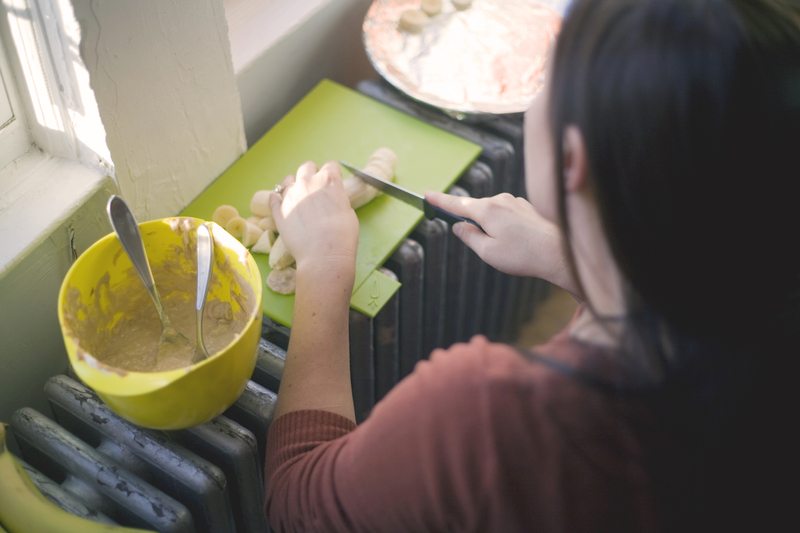 Don’t worry about being precise on the oven temp; if you’re baking something else at 425 or 350, that will work too. 2. While it bakes, clean the seeds of any squash pulp and put them in a small pan with a little vegetable oil (not olive, it burns). Make sure all the seeds are thoroughly coated, and place it in the oven with the squash. 3. Check the seeds after about 10 mins and give them a stir. They’ll probably need a little more time. You’ll know they’re done when they are crunchy and golden but not burned to a crisp. I didn’t time it, but I think it took about 20 minutes. 4. To check the squash for doneness, just stab it with a fork. If the fork goes in easily, it’s done. If not, give it more time. This could take anywhere from 30 minutes to an hour. From there, you can do whatever you want with the squash! I made mine into soup, but you could also mash it and eat, or chop it and add it to all kinds of things, or even put it into a pumpkin pie or other baked goods. The seeds should be drained on paper towels and salted and enjoyed. Sharing is optional.